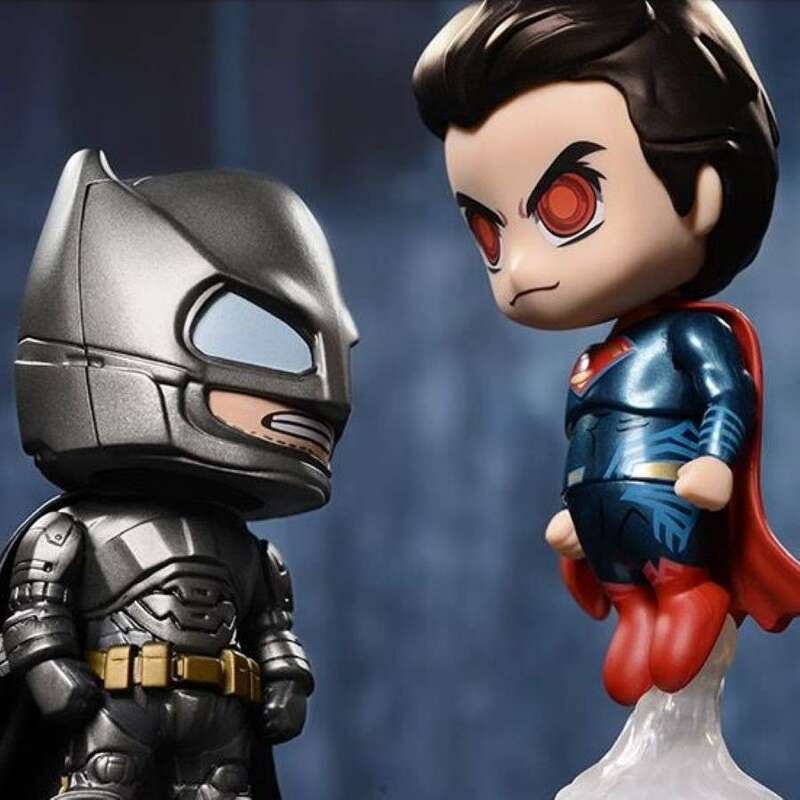 From the Hot Toys brand of highly detailed Cosbaby collectible mini figures we bring you the Batman v Superman : Dawn of Justice Batman and Superman collectible set. 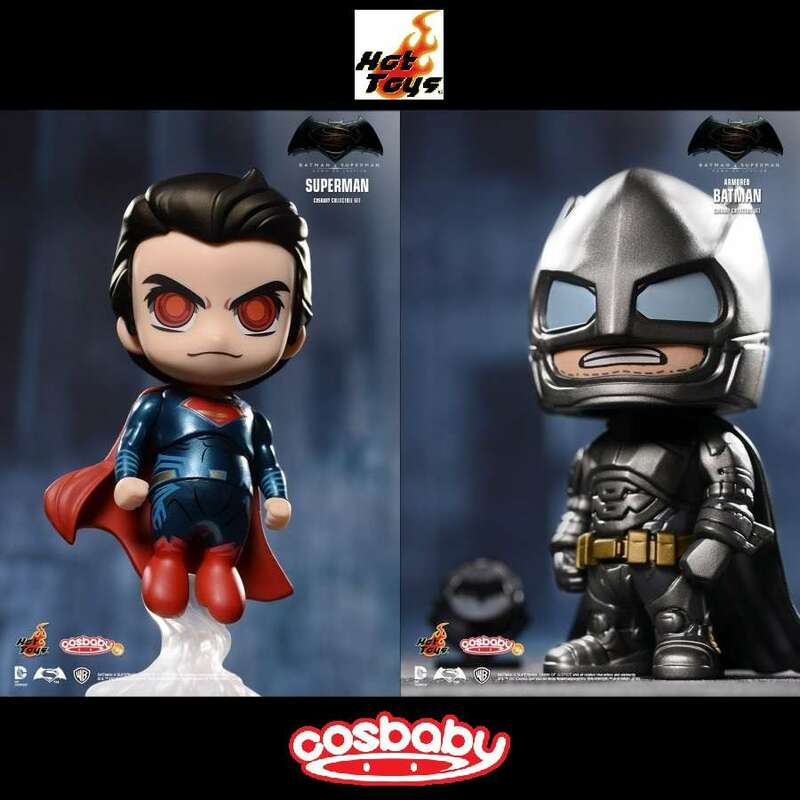 From the Hot Toys brand of highly detailed Cosbaby collectible mini figures we bring you the Batman v Superman: Dawn of Justice Armoured Batman and Flying Superman collectible set. 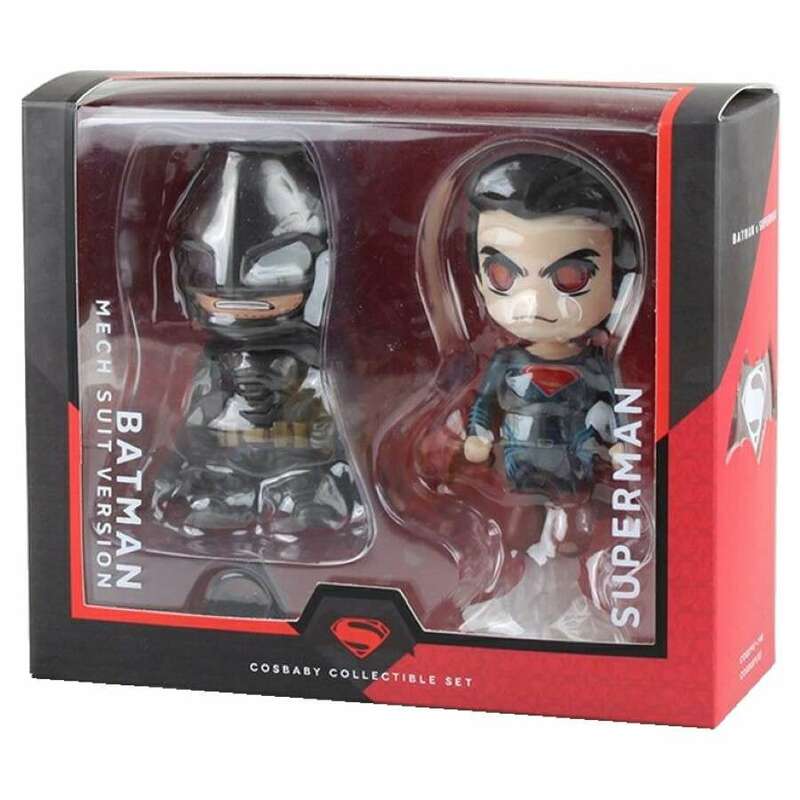 This officially licensed Batman v Superman mini figures collectibles set with Batman and Superman have rotatable heads, stand approx. 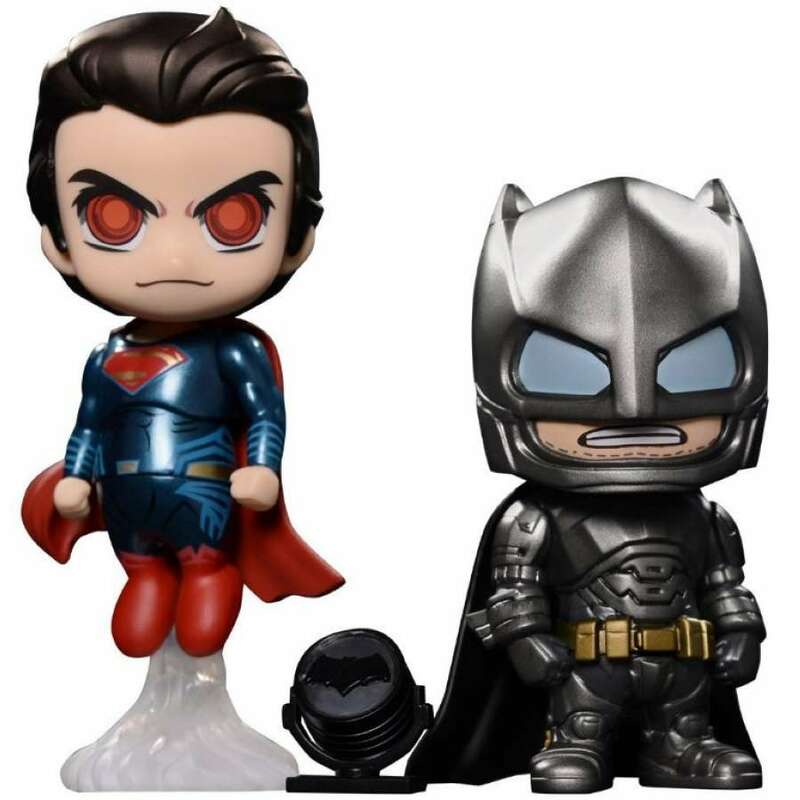 10 cm (4") tall and Superman comes complete with base. 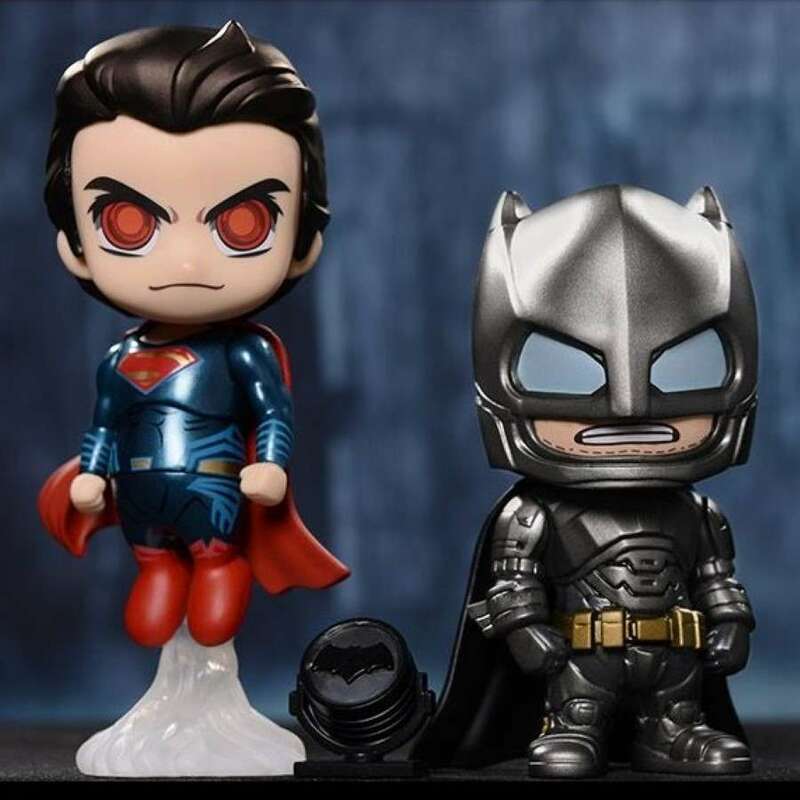 Also includes a mini Bat Signal.